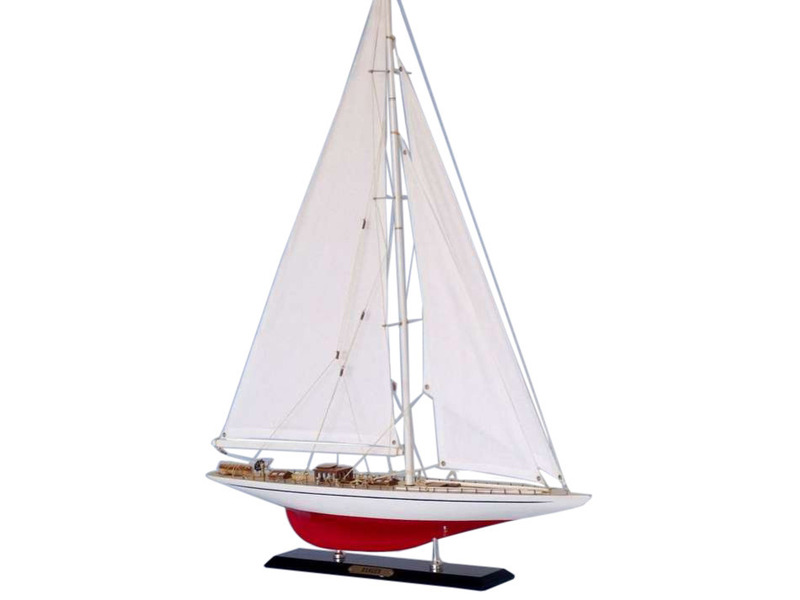 Wooden Bluenose Model Sailboat Decoration 80"
Wooden Columbia Limited Model Sailboat 25"
Be swept away by waves and wind upon America’s Cup winner Ranger with these Limited Edition model sailboats. With finely-crafted features and graceful lines adorning this entire high-quality yacht model, the Ranger is perfectly sized for a bedroom shelf, office desk or sunroom mantle. The J-class yacht Ranger won the 1937 America's Cup, defeating 4-0 the Endeavour II of Britain, raced at Newport, Rhode Island. It would be the last time huge J-class yachts would race in the America's Cup. Harold Stirling Vanderbilt funded construction of the Ranger, and it launched on May 11, 1937. It was designed by Starling Burgess and Olin Stephens, and constructed by Bath Iron Works. Stephens would credit Burgess with actually designing the Ranger, but the radical departure from conventional J-class design was more likely attributable to Stephens himself. Geerd Hendel, Burgess\'s chief draftsman also had a hand in drawing many of the plans. 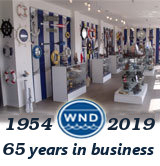 Ranger was constructed according to the Universal Rule which determined how large various dimensions of racing yachts, such as sail area and length, could be. Often referred to as the super J, the Ranger received a rating of 76, the maximum allowed while still fitting within Universal Rule constraints.